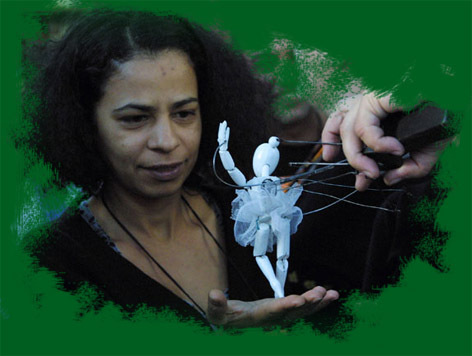 It is performed on a small stage with unique small sized puppets. The delicate animation of the puppets is really special. The puppet technique and the great artistic abilities of the actor provides a unique experience for the spectators. The performance is without words, based on classical or evergreen music, a chain of 3-5 minute pieces. The show can be performed in a role up to 1,5 hours. The sound system is really simple (cassette). There is no need for a built in stage, it can be performed anywhere. Other technical needs, electricity: 220V on the venue. It can be performed during the day or in the evening with simple lights.It is an excellent eye-catching show to call the attention of the public just before the beginning of a cultural. event, or as part of the programme of a festival such as theatre, street theatre, puppet theatre or any other cultural event.